Likened to Indiana Jones for the 21st century, the beloved explorer Kate Kristopher is back and in this all-new story arc of writer Joe Keatinge (GLORY, TECH JACKET) and artist Leila del Duca’s SHUTTER. And in this new chapter she’s met with the most nail-biting rivalry one can imagine—sibling rivalry. Blood doesn’t necessarily run thicker than water for Kate. To add to the building excitement, artists Frank Cho and Ray Fawkes will lend their artistic interpretations to SHUTTER with two hotly anticipated variant covers. 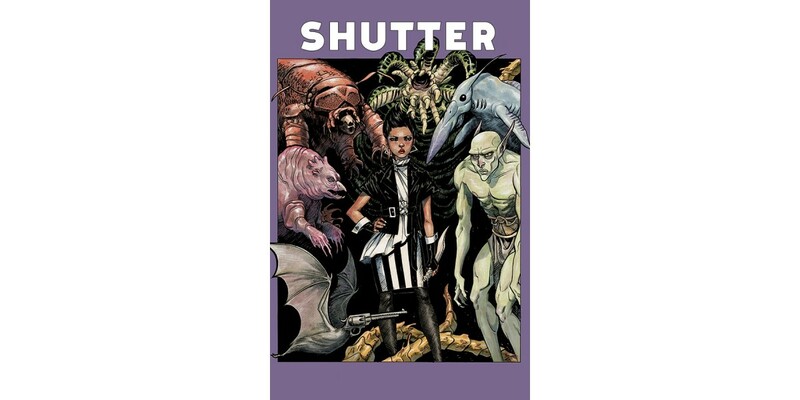 The action-packed arc begins in SHUTTER #7, which will have readers on the edge of their seats this December 10. World traveler Kate Kristopher has faced monsters, ninjas, ghosts, and all manner of perils in her previous explorations, but in SHUTTER #7 the stakes are raised when Kate finally comes face-to-face with another sibling she never knew about, the one who’s dead set on destroying what little Kate has left. This new story arc will welcome legendary letterer John Workman (Thor, Doom Patrol, Heavy Liquid) to the team by way of his commemorative variant cover and a comprehensive career retrospective written by Shea Hennum. "Working with Leila to build up everything Kate Kristopher is and where she exists was our big thrill in putting together the first arc,” added Keatinge. “Now that it's built up we're digging in underneath its base, chipping away at its structure and showing that this madcap world of Victorian robots and magic rat kids is founded on something far more wicked than Kate ever knew."